Back in the day if you wanted to buy little handmade mini-comics or self-published books you needed to go to a comic shop that was cool sharing some shelf-space with local creators or be plugged-in to the various self-publishing and underground comix communities. Then the internet came along and people were able to put their stories online, which has resulted in a number of smash-hit web-comics. The thing is, I really like to be able to physically hold my comics and I like supporting independent creators, publishers too small to be in, "Previews," and people who just like to make comics sometimes as a hobby. This resulted in my realizing some time ago that Etsy is a stellar resource for finding indie comics. Michel Fiffe is possibly the best-known person who sells their comics on Etsy, with his massively popular and awesome, "COPRA," still being sold on the platform. There are countless other people who produce and sell comics too on the website. 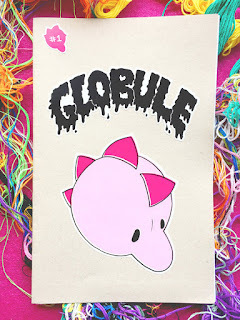 In my desire to find some I spent a chunk of time searching-around Etsy for comics and mini-comics that looked neat and ordered a variety to read and share my thoughts about. I didn't tell any of these people I was going to spotlight their works on my blog but will of course notify them I shared my thoughts once this post is up. I was very pleased with what I received from creators, with many clearly putting their passion into these titles. Should you want to read their works too you can always follow links I'll provide as well at the end of each comic I discuss. Shall we? This is a very brief mini-comic that only cost me a single dollar and for sure provides more than enough entertainment to make me feel I got my money's worth. 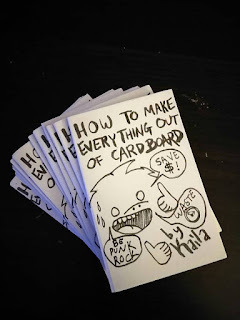 Drawn in a cute and scratchy style, the author, Kaila, shares about her love of hoarding cardboard and making random stuff out of it. I am someone who also likes to hoard random things such as packaging supplies (paper, bubblewrap, etc.) as I always feel I can reuse it whenever I mail stuff and hate the idea of wasting stuff like those air-pocket plastic things. I greatly enjoyed this mini-comic, and as I said, it is only a dollar! Follow this link to buy your own copy! 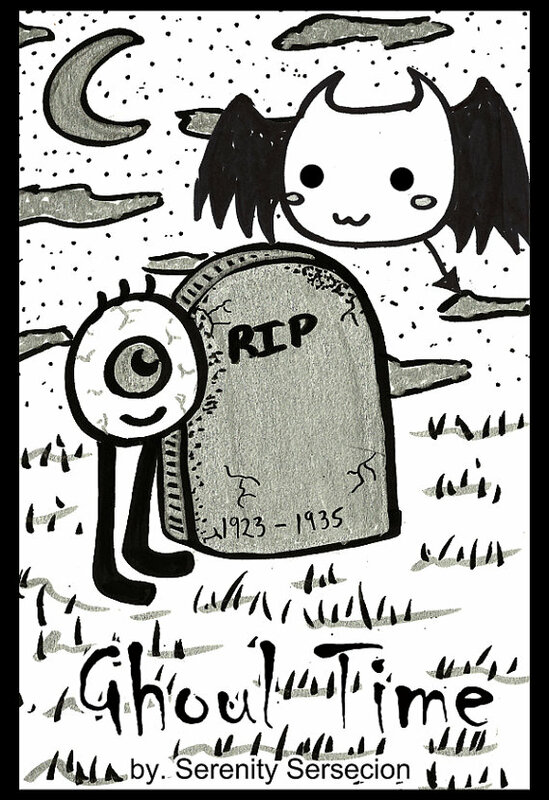 The full title is, "Ghoul Time: First Crush Comic Book," and this fun romance-themed mini-comic follows two undead creatures as they explore the graveyard for another person that one of them has a crush on. Sersecion's art-style is energetic and peppy, with a dash of a manga-influence in the way the characters appear too. It also is really sweet and makes me hope there will be a follow-up where we witness a date between the characters who state they feel an, "Affection," towards one another. 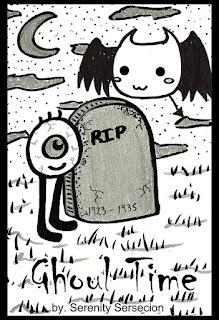 You can learn more about, "Ghoul Time," and purchase your own copy here. While this is a second issue, each one is advertised as being a stand-alone tale that is, "Twilight Zone-esque," in nature. I adore a good twisty sci-fi yarn so I was eager to purchase this book illustrated by the Esty user selling it! Set in the early 1980's and following a young couple in love but stuck living far apart, I found it a good read with quite a clever surprise twist--I don't want to spoil the supernatural-element that makes things cleverly weird, but it surprised me when it occurred and the story took a very dark turn. This smaller-sized comic was fantastic and I'd recommend you acquire yourself a copy via this link. 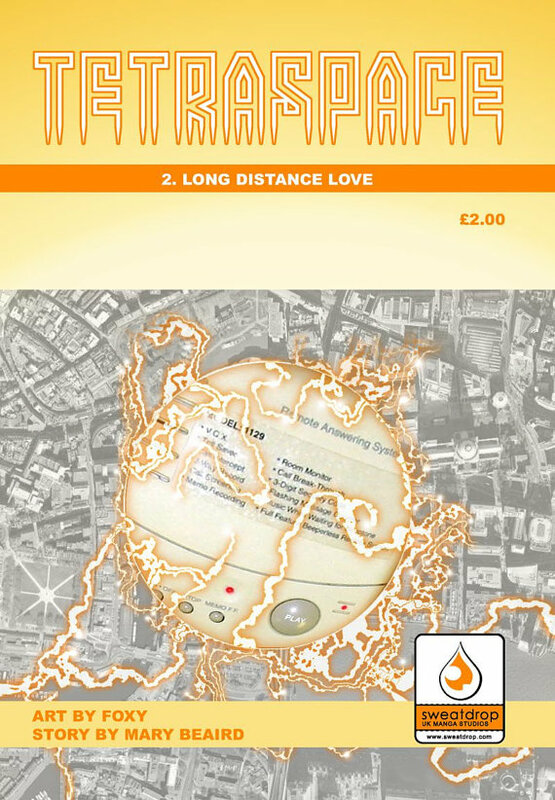 "Rising Sun," is the latest release from Kensai Productions which is a small indie-publisher headed-up by Edward Sims, who also wrote this issue. It was only $4.50 with free shipping for a full-sized and quite thick comic loaded with a variety of stories. The book reminds me a bit of G.I. Joe (in a good way) with assorted military-styled characters coming together or fighting. The art by Brian Balondo is quite solid and wouldn't be out-of-place in a mainstream release. 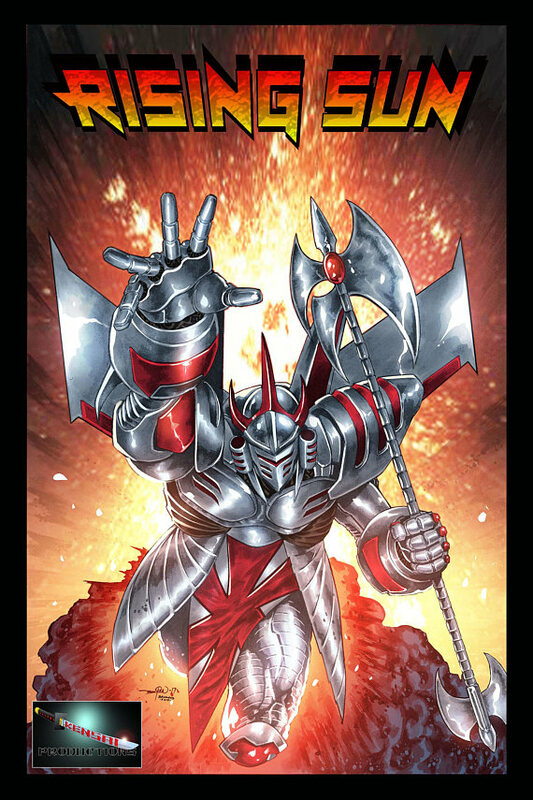 The whole comic is very professionally done and highly enjoyable with its action-packed vignettes. Also, Kensai Productions was kind enough to throw-in a free copy of one of their older titles, "Black Arrow #1," which was much appreciated and features the character of, "Black Arrow," who also plays a role in this first issue of, "Rising Sun." Should you want to buy your own copy just follow this link! This mini-comic was dark and disgusting--in a good way! Focusing on a young dinosaur-woman and her friend discussing various life-troubles before towards the end things take a supernatural and body-horror styled turn with a monstrous dead animal. It's a weird and esoteric read that kind of reminded me of Michael DeForge's style of otherworldly story-telling and hyper-detailed gross bits. It's a disorienting comic but one I greatly enjoyed being made uneasy by. You can buy a copy here! I Loved Visiting Comic Force in Branson! My First WildCon Was a Blast! Reminder: I Have a Patreon! Today's ToyMan Show was Fantastic Yet Again!